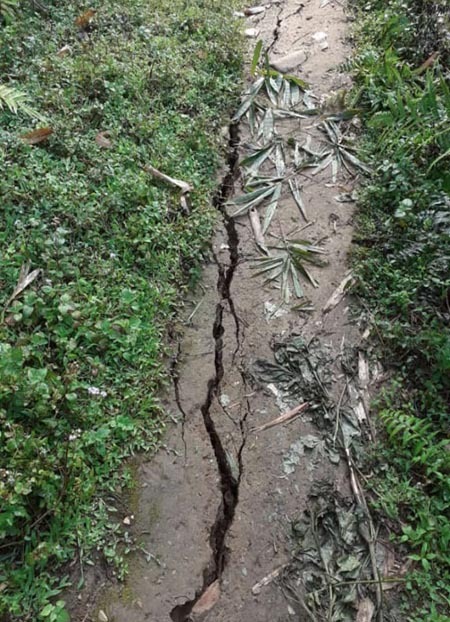 JORHAT, Sep 11: Leading a team of scientists from the state to the Rain Forest Research Institute (RFRI) in Jorhat, Assam on Monday, Deputy Chief Minister Chowna Mein informed that the state government is contemplating to draw up long term policy programme to protect, preserve and utilize the rich bio-diversity of the state by launching the Arunachal Pradesh Bio Resource Mission, which is expected to benefit the poor farmers of the state. He also mooted for establishment of North East Bio Resource Centre at Itanagar as Arunachal was a biodiversity-rich state. 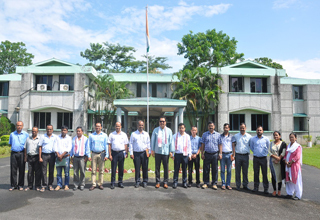 The Deputy Chief Minister, who has taken keen interest in the field of research and skill development activities, revisited the RFRI Jorhat for the second time where he held an interactive meeting with the Director and scientists of RFRI and called for concerted efforts of RFRI and State Horticulture Research & Development Institute (SHRDI) for systematic plan for research and documentation, besides technical cooperation between the RFRI and the SHRDI. Appealing for RFRI to be part of the development process of the state, he suggested drawing a roadmap for launching of the Arunachal Pradesh Bio-Resource Development Mission in the state. Mein informed that the state of Arunachal Pradesh has a vast bio- resource which could be turned into a big-enterprise for the benefit of the people to ensure livelihood by developing rich bio-diversity of the state, which would go a long way in conserving the forest and the ecosystem. The Deputy CM also highlighted that due to the lack of awareness and less research several important plant bio-resources have drained out of the state, and cited examples of the orchid and costly agar plant which are now significantly low due to rampant extraction from outside people. Mein also insisted that the researchers adopt innovative ideas and use latest technology for research and development. Mein further urged the scientists of SHRDI to prepare a presentation on the outcome of the interactive meeting held with the RFRI Jorhat, so that it could be presented and discussed upon with Chief Minister Pema Khandu at Itanagar. He also requested the Director of RFRI to bring the team of scientists in the state to attend the meeting with the Chief Minister and extend their knowledge on forestry related issues through research, education and extension in general and to support forestry research in the state. Director RFRI, Dr R S C Jayaraj assured that the RFRI would extend and provide all support to the state of Arunachal Pradesh on sustainable development of the state through people-oriented forestry research and extension activities. He informed the visiting dignitaries that RFRI Jorhat is striving to take advantage of the tremendous opportunities that are available in the region, in forestry research and technology, development to help in poverty alleviation and sustainable development. Earlier, a power point presentation on RFRI activities was presented by RFRI Director Dr Jayaraj, while a presentation on Arunachal Pradesh Bio Resource Development Mission was presented by SHRDI Head Basar. The team from Arunachal Pradesh included scientists D Yonggam and O Apang. The meeting was also attended by scientists and officers from the RFRI.